Land Rover is a great British brand with a balance of tough reliability and cutting edge style. We've got great Land Rover lease deals to view here from the Land Rover Freelander to the Discovery Sport. 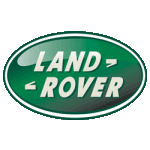 And we're adding new Land Rover lease offers all the time, so sign up for our alerts.